The snow is going to fly and you want to have the best tools available to deal with it. Try these snow removal tools to tackle the task, whether you’re shoveling a front walk or taking care of a long driveway. This 32-lb snowblower, uses a rechargeable battery that can provide 50 minutes of run time—enough for the average driveway. It can cut an 18-inch path through 8 inches of snow at once without trouble. The chute is on a 180-degree rotational base so you can direct the snow where you want it to go. Plus, battery power means that this may be the quietest snowblower you’ve ever heard. Who says snow removal must hurt your back? The G4 from Garant has three handles. One for pushing snow and two for lifting. Also, this sort of ice shovel has a foot rest to give you extra power to break up packed snow or ice, and can help you get out of a ditch. If you like riding around on your ATV to plow, then check out this Warn ProVantage 50-inch straight plow blade to clear out your drive in a hurry. The plow ranges in size up to 72-inches. Make sure your ATV is in tip-top shape before you start plowing. Besides looking cool, the Avalanche roof snow removal tool does the trick so you can clear snow from the safety of the ground. The tool only weighs 10 pounds and has a 12-foot-long pole to clear the snow easily. Learn how to prevent ice dams from forming on your roof. That seed spreader isn’t a seasonal tool in regions where it snows regularly. Stock it up with a salt mix to melt ice on your driveway and sidewalks. This battery-operated snow thrower can clear up to 10 inches and toss the snow 20 feet away. It even folds up for easy storage and the battery can last for 45 minutes. Find out what you need to know before buying a snow blower. This push model rolling snow shovel can make quick work of light snow and save on back stress. The nice feature of this is you can use both blades during the life of the shovel by switching the direction of the two-sided blade. Learn 10 ways to get rid of snow easier. This Black + Decker snow thrower doesn’t have the batter power like the GreenWorks model but this comes with two 40V batteries. It comes with a three-year warranty and is perfect for a short snow blowing job. Get your vehicles ready for winter so you can roll out of the driveway without any problems. If a full-size snow thrower is too much settle in for a cordless power snow shovel. The Earthwise 16” power shovel throws up 300 pounds per minute and can clear a depth of eight inches. If you’ve got some old, dull shovels around, find out how to sharpen a shovel. This two-stage Ariens model can throw some serious snow with a 24-inch clearing width that moves 62 tons of snow per hour. It features a 14-inch auger and warranties for the gear case. There’s also a headlight and optional handwarmers. Find out how to change oil on a snow blower. This thrower won’t cover as much ground as the Ariens model, it’s just a three fewer inches. 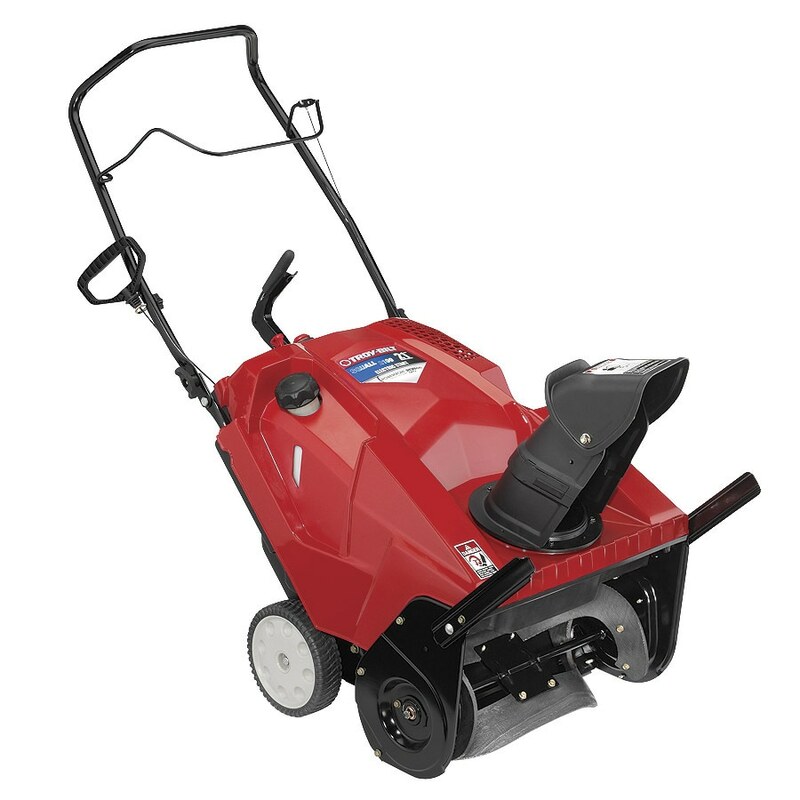 The Troy-Bilt Squall will wade into 13-inch deep snow and offers a chute with 190-degree rotation. This one is also just 97 pounds. Learn how to replace a snow blower belt. Breaking up ice is about the most arduous of winter jobs but Bully Tools has a solution for you with this ice scrapper. It’s made with All Steel construction and will last for a long time. If that sidewalk is fading, find out how to pour a concrete sidewalk in the spring.